My kids have never been big morning eaters. They usually go into "hunger mode" around noon. Before that, getting them to eat much of anything is a joke. Recently, I was intrigued by a commercial with a mom and her 2 kids getting ready for school eating a piece of toast with Nutella, and I figured it was worth a shot. My kids were new to Nutella, so I explained it as a "chocolate nut spread" and they were excited to try it on toast for dessert one night. The next morning, I asked them if they wanted a piece, and they both said YES, thinking "why is mom giving us dessert for breakfast?". They didn't each eat a whole piece, but they got a few bites in and were much more prepared for the morning school work routine. 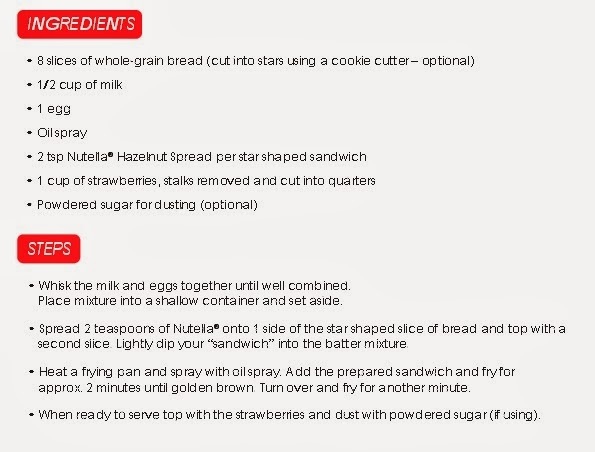 Since they took a liking to Nutella, I decided we would try a few recipes. I am looking forward to this one the most! 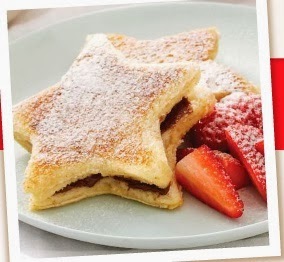 You can check out all the different recipes here, or follow Nutella on Pinterest for even more fun ideas!